We have so many Fall birthdays in my family! I have been collecting gifts and gift cards for the past couple of weeks, trying to get everything done before baby arrives. I asked my husband, “What do you want for your birthday?” Of course I got, “nothing, I don’t need anything.” Boo!! So, I kept my husband’s gift simple. I made his main gift. (I won’t tell you or show you just in case he actually reads my blog!) I am adding a few of his favorite eats to this gift box. I hope he likes it anyway! Once I started making my husbands birthday gift, more ideas came to me. 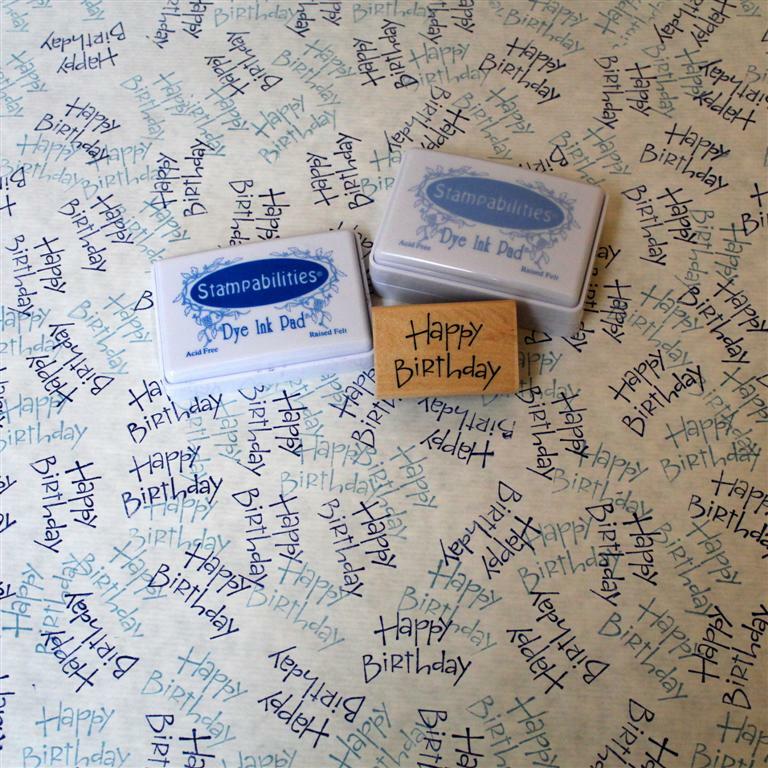 I decided to also make his gift wrapping paper. 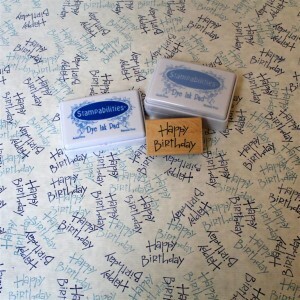 I dug out some ink pads and my “Happy Birthday” stamp and got to work. I still have a nice big roll of white paper from the gift wrap section of Hobby Lobby. It isn’t glossy, so when you stamp, the ink is absorbed. I stamped that paper like a boss!! I like the two shades of blue together. Simple, easy, fun! That’s about all I can manage right now! Have a wonderful Wednesday and make something fun!